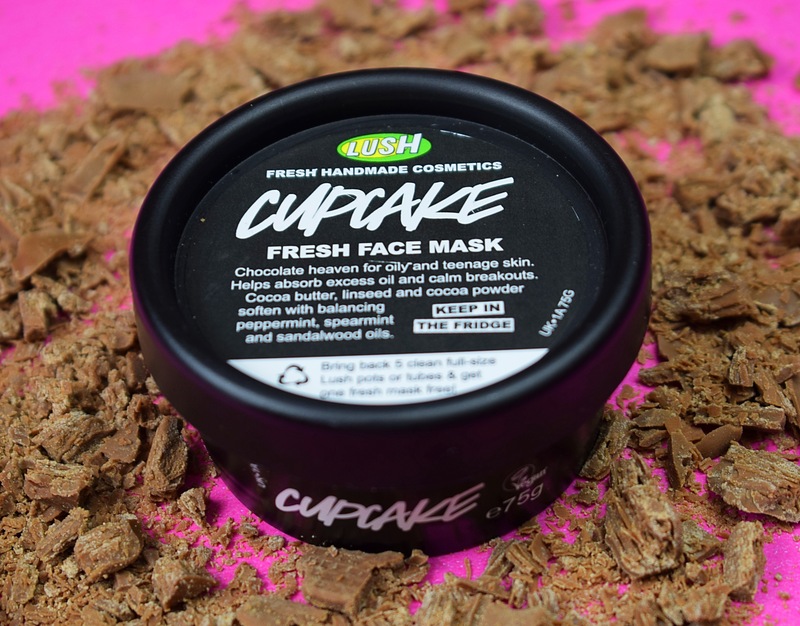 One of the first ever products I brought from Lush was the Cupcake face mask. 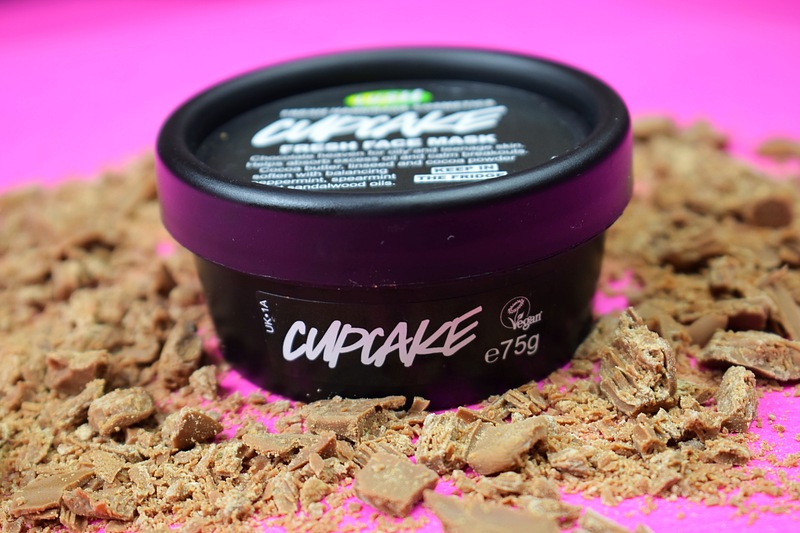 I was on a school trip and had £5 pocket money and remember the cupcake face mask being one of the only things I could afford with my pocket money, but I’m so glad I chose that product as it is now my all time favourite product from Lush. I just love it. The scent of the Cupcake face mask is what I love the most about this mask. It has a rich chocolatey scent that makes my mouth water every time I smell it. As with all of the Lush skincare products the ingredients are included to help with a specific skin type. 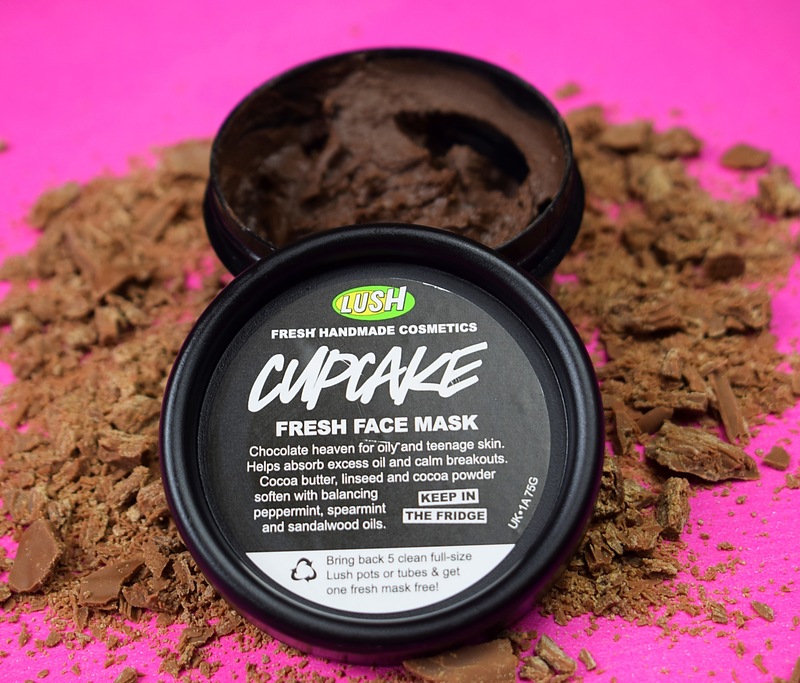 The Cupcake face mask is designed for helping oily and teenage skin. It includes rhassoul mud which is great for absorbing oil and cocoa powder draws out dirt and impurities giving a deep cleanse. 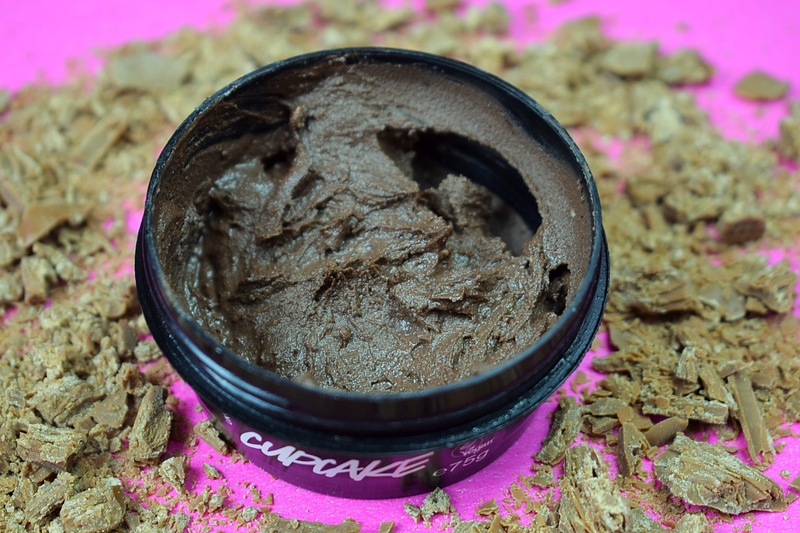 The cupcake face mask also contains fresh mint which stimulates and tones the skin and cocoa butter to soften and moisturise the skin. The face mask is fresh which means all the ingredients are as fresh as can be. This also means that face mask does have to be kept in the fridge and has a short shelf life. I actually really enjoy the feeling of putting a cool face mask straight out of the fridge on. It creates a refreshing cooling feeling which is very soothing on the skin. After using the face mask I found my skin felt very clean and less oily. My skin also felt like it had added hydration and felt very soft and smooth. Overall I love the cupcake face mask. It is great to use if I have had a breakout or feeling a little more oily than normal. I also love to use this mask as a luxurious treat. I’ve been using the Cupcake mask this week and my skin has literally never looked better!! !